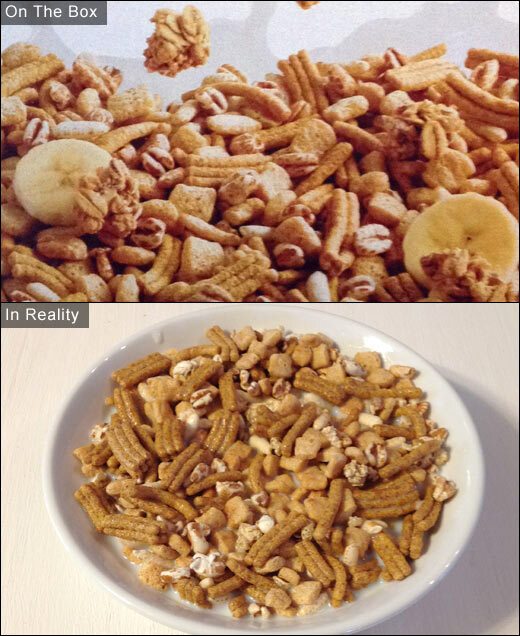 This cereal consists of small graham pieces, honey puffed rice, very tiny oat clusters and fiber "twigs". I liked the initial flavor quite a bit. You get hints of the vanilla and graham flavors but it's not overwhelming. They're more like underlying flavors than in-your-face tastes. As you eat more and more, those subtle flavors get a bit lost in the mix, but the diversity of textures and earthy flavor from the "twigs" keeps you interested through a full serving. The sad thing about this "clusters" cereal is that you'd be hard pressed to find a cluster in the box. 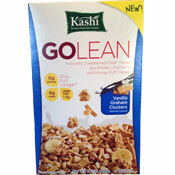 If two oats stick together, Kashi feels comfortable calling it a cluster. In my world of testing cereals. that does not constitute a cluster. 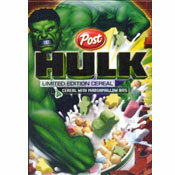 So while my overall impression is a good one, it should be stated that this cereal would have been better if it had more of everything they promote on the box. If Vanilla Graham Clusters Go Lean had more vanilla, more graham and more clusters, this good cereal could have been a great cereal. One other positive note: A single serving did keep me feeling full for about 4 hours. Nutritional Considerations: Each 1 cup serving of this cereal has 170 calories, 1.5 grams total fat (0 saturated and 0 trans), 0mg cholesterol, 85mg sodium, 36 grams total carbs, 9 grams dietary fiber, 9 grams sugar and 11 grams protein. What do you think of Vanilla Graham Clusters Go Lean?